There is a reason why it appears that Auburn and Alabama’s fundraising activities are in higher gear than ever before. It’s because they are. Since the recession, state spending for four-year public colleges and universities in the United States has dropped sharply. In Alabama, the drop has been especially dramatic, plummeting 36.2 percent per student between 2008-2016, according to the Center on Budget and Policy Priorities, a research and policy think tank in Washington, D.C. Increased tuition, fees and other revenues are not enough to cover the necessities to stay ahead of the curve, especially when future growth is factored in. Thus, more organized, sharper-focused fund-raising efforts by institutions of higher learning have gained traction. Some money is raised and spent without strings, relatively speaking, to cover various shorter-term needs. But many donors request that their contributions be used for a specific purpose. Those donations typically are directed to an endowment. There they are pooled together and invested to produce a return sufficient for funding what donors requested — perhaps a scholarship, faculty position, department chair or building. The idea is to grow the endowment’s base, or principal, which in turn generates revenue through the years in the form of dividends, capital gains or interest. Endowment funds might include everything from cash, precious metals and stocks, to bonds, government securities and real estate. A university’s endowment fund rests on thousands of agreements between donors, many of them alumni, and the university, its colleges or other related entities. A university is legally and morally obligated to uphold the agreements on which endowed gifts are made. At the University of Alabama, the endowment fund generates about $35 million annually. Auburn University’s generates roughly $25 million. That money is available for spending only because the universities’ endowments provide for consistent, long-term growth without spending initial endowed donations. Both universities have developed more targeted, “comprehensive” approaches to raising money, which include direct mail, phone marketing, presentations and other communications. Added to those efforts have been online donations, which are growing rapidly. Auburn University launched its first significant fundraising drive in 1959 and ended it four years later, $2.6 million to the good. As Auburn’s fundraising efforts grew exponentially through the years, endowed donations did, too. As a result, the Auburn University Foundation now manages and oversees an endowment valued at more than $781 million. That’s pushing double of the $417 million held in 2010, less than a decade ago. The Auburn University Foundation (AUF) is a separate and distinct nonprofit organization led by a board of 24 volunteer trustees. The board manages Auburn’s endowment investments through a seven-member investment committee, co-chaired by Auburn graduates Cheryl Casey, Class of 1983 of Denver, and Charlie Miller, Class of 1980 of Birmingham. New Hampshire-based Prime Buchholz, formed in 1988, serves as investment consultant. In addition to the AUF’s investment committee, Prime Buchholz works closely with the staff in Auburn’s Endowment Investment Office to develop asset allocation policy, conduct due diligence on current and prospective investment fund managers, evaluate the fund and manager performance and report to the investment committee. The AUF receives all charitable contributions to benefit Auburn University and Auburn University at Montgomery. It works closely with the university’s Office of Development, which spearheads fundraising, and it controls the Auburn University Real Estate Foundation, which receives and administers real estate gifts. Second, making up the other 66 percent, is a component owned by AUF, which has been responsible for the university’s share of the endowment since 2006. Auburn recently exceeded a $1 billion goal for its Because This is Auburn fundraiser, the first university in the state to raise that much in a single campaign. That included a record $172 million raised in 2015-2016, 34 percent of it as endowed donations. Auburn received more than 75, 000 gifts from 42, 118 donors, 9, 179 of them giving to Auburn for the first time. Among Auburn University’s more recent mega gifts was a $10.55 million shot in the arm for the Samuel Ginn College of Engineering, compliments of Walt and Ginger Woltosz. Announced in 2014 and the second-largest gift in the college’s history, the contribution was made to support students’ educational needs and faculty research efforts, while bolstering the technical advances of its research facilities. The gift also created a new endowed professorship in the Department of Aerospace Engineering, in addition to one the couple previously funded. In recognition of their support, the Auburn University Board of Trustees voted to name the engineering college’s central research facility in the Shelby Center for Engineering Technology after the couple. The Woltoszes also donated $5 million in 2017 for the main performance hall in the $70 million Jay and Susie Gogue Performing Arts Center now under construction. A member of the Auburn University Foundation’s Board of Trustees, Woltosz completed undergraduate and master’s degrees in aerospace engineering at Auburn in 1969 and 1977. He is chairman and CEO of Simulations Plus, a company he founded in 1996 that is a leading developer of simulation and modeling software for drug discovery and development in the pharmaceutical and biotechnology industries. Simulations Plus products are used by more than 200 pharmaceutical firms, including the world’s Top 25, helping to analyze new products and saving millions of dollars in research and development costs. When Ginger Woltosz’s mother became ill, Woltosz began developing augmentative communication systems for persons with severe disabilities. In 1981, the couple founded Words+, a leader in creating products that “unlock the person” by providing the highest quality communication and computer access tools available. Recognized by the Smithsonian Institution, the Words+ Equalizer and EZ Keys programs allowed world-renowned astrophysicist Sir Stephen Hawking to continue his work after his ability to communicate was compromised by ALS. When it was made in 2013, Raymond J. Harbert’s $40 million gift to Auburn University was the largest in the university’s history. To recognize the Birmingham businessman’s largesse, Auburn’s college of business was renamed the Raymond J. Harbert College of Business. 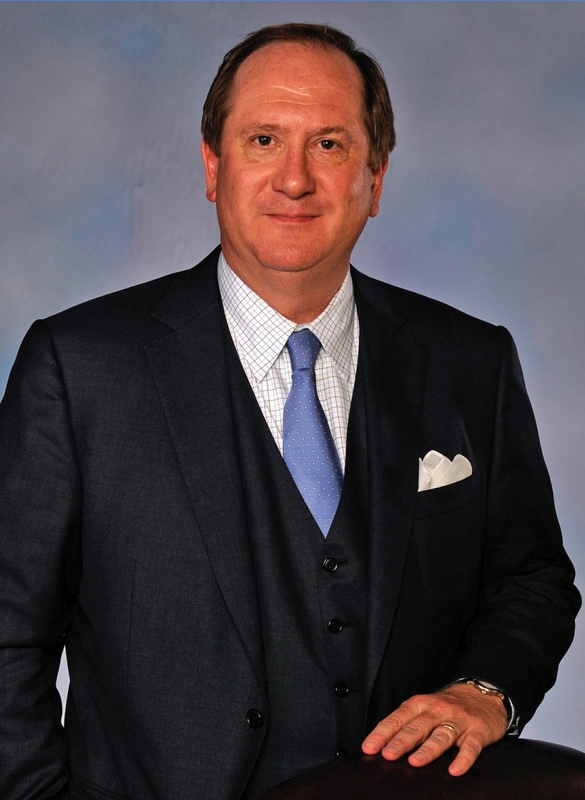 Harbert, a 1982 Auburn graduate and Board of Trustees member, is chairman and CEO of Harbert Management Corp., a Birmingham-based investment firm founded in 1993. He also is a co-chair of the Because This Is Auburn fundraising campaign, which has surpassed the $1 billion mark. Among other things, Harbert’s large donation was called “transformative” by Auburn officials. It was made to create additional eminent scholar and endowed chairs in the business college to recruit and retain top faculty members in such areas as finance, business analytics and supply chain management. It also was intended to enhance research in the areas of securities and wealth creation and supply chain management, the latter through work with Auburn’s college of engineering. Establishing a doctoral program in finance was another goal, along with enhancing instructional technologies and classroom facilities. Part of Harbert’s gift, $15 million, was matched by Auburn University to enable construction of a second building for the business college, scheduled for completion later this year. Harbert and his wife, 1981 Auburn graduate Kathryn Dunn Harbert, have both been generous supporters of Auburn and its business school through previous donations. Harbert Management Corp. manages more than $3 billion in assets for high net worth individuals, financial institutions, pension funds and foundations. In addition to its investment teams in eight U.S. cities, including New York and Chicago, the firm’s global footprint encompasses London, Paris, Hong Kong, Madrid and Melbourne. When Auburn launched its $1 billion Because This is Auburn fundraising campaign in 2015, the public campaign kickoff included the announcement of the largest gift in the university’s history — $57 million pledged by John and Rosemary Brown, both of whom graduated from Auburn in 1957. The Browns’ gift is helping fund two major facilities now under construction and scheduled for completion in 2019: the Jay and Susie Gogue Performing Arts Center, a $70 million project made possible by a $25 million donation from the Browns, and the Ginn College of Engineering’s Brown-Kopel Engineering Student Achievement Center, a $44 million project made possible by the couple’s $30 million donation. 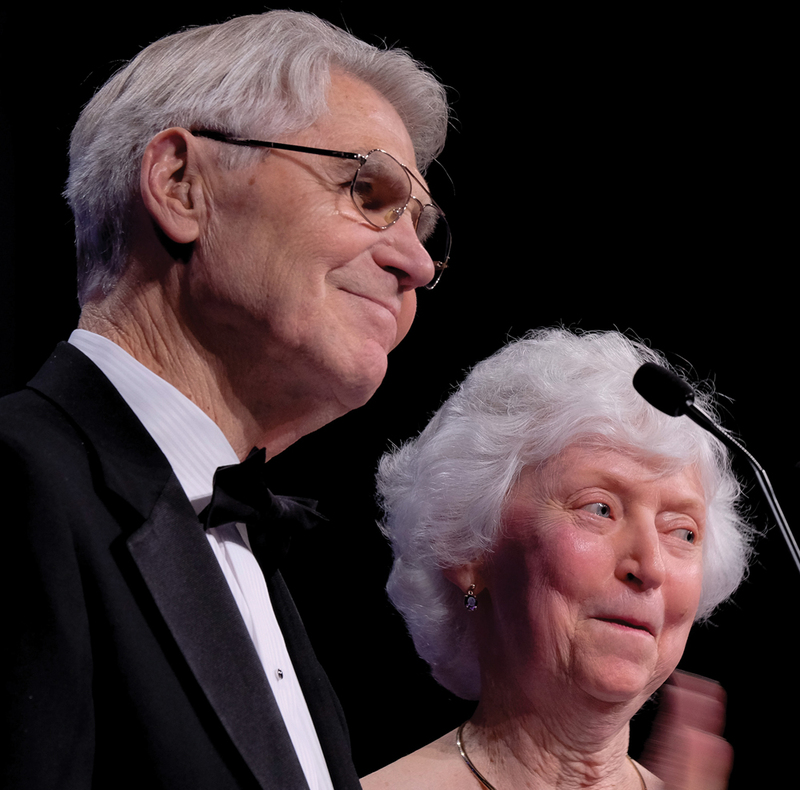 The Browns’ other contributions to Auburn include $10 million in 2011 to support construction of the Wilford and Kate Bailey Small Animal Teaching Hospital and a $2 million gift in 2016 to create the first eminent scholar chair in the College of Science and Mathematics. Brown grew up on a farm in Tennessee before receiving a degree in chemical engineering from Auburn. He is best known in the business world for serving as CEO and chairman of Michigan-based Stryker Corp., a leading medical device company. Stryker’s revenues skyrocketed from $17 million to $6.7 billion under his leadership. He retired as CEO in 2004 and as chairman in 2009. Rosemary Brown, a chemistry major at Auburn, retired after serving as a mathematics teacher for almost 30 years and has served on many community boards. John Brown has served on the boards of St. Jude Medical, the American Business Conference and is a director emeritus of the Auburn University Foundation. He is a recipient of the Auburn Alumni Association’s Lifetime Achievement Award and was the inaugural inductee into Auburn University’s Entrepreneur Hall of Fame, hosted by the Raymond J. Harbert College of Business. The University of Alabama launched its first fundraising drive in 1906, spearheaded by luminary alums Hill Ferguson and Robert Jemison. UA’s leadership at the time saw correctly that fundraising efforts were needed to help ensure funding for the school’s growth. Until that time, the University of Alabama had relied heavily on an endowment created by state lawmakers before the Civil War, which generated about $24, 000 a year. Since then, the university’s endowment has evolved and grown to a value of $885.7 million, generating roughly $35 million a year to support the university in various ways. Those figures cover only the University of Alabama and its affiliated entities — the Capstone Foundation, the UA Alumni Association, Law School Foundation, the Crimson Tide Foundation and UA land and natural resources that are endowed. The endowed assets of the UA System’s three campuses, hospital and affiliated foundations are pooled together, allowing the system greater purchasing power, diversification and lower management costs for the endowed assets. The total value for the UA System Pooled Endowment Fund, which also includes the University of Alabama at Birmingham and the University of Alabama in Huntsville, was $1.4 billion as of last fall. UA’s Board of Trustees is responsible for supervising and monitoring all investment activities of the UA System. The board has delegated those responsibilities to its nine-member investment committee, chaired by Mobile businesswoman and UAB graduate Marietta Urquhart. Mobile businessman and UA graduate Harris Morrissette serves as co-chair. The Investment Committee works closely with the endowment’s investment advisor, Fund Evaluation Group of Cincinnati, Ohio, for manager recommendations, due diligence on new and current managers and performance reporting. An investment staff at the System Office handles day-to-day management and accounting of the pooled endowment. Endowment distributions are based on a set spending rate approved by the board of trustees. Purchases and sales are based on contributions and requested withdrawals along with rebalancing as needed to stay within target allocations. 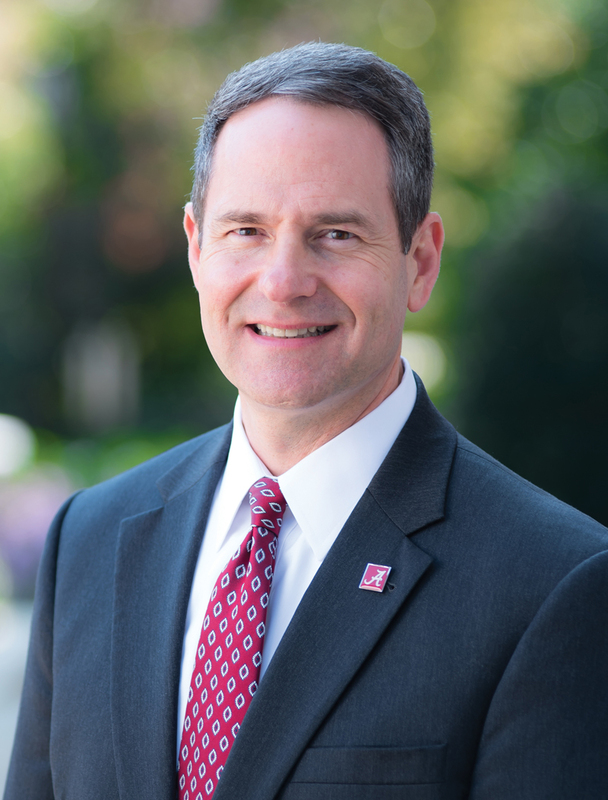 Fundraising at the University of Alabama is directed by the Office for Advancement, headed by Bob Pierce. 2017 was a record breaker, fueled by more than 58, 000 donations totaling more than $120 million, which broke the previous annual record of $116.4 million set in 2012. Roughly $49 million of last year’s donations were endowed, representing some 40 percent of the total. More than 14 gifts exceeded $1 million and 7, 667 were made by first-time donors. 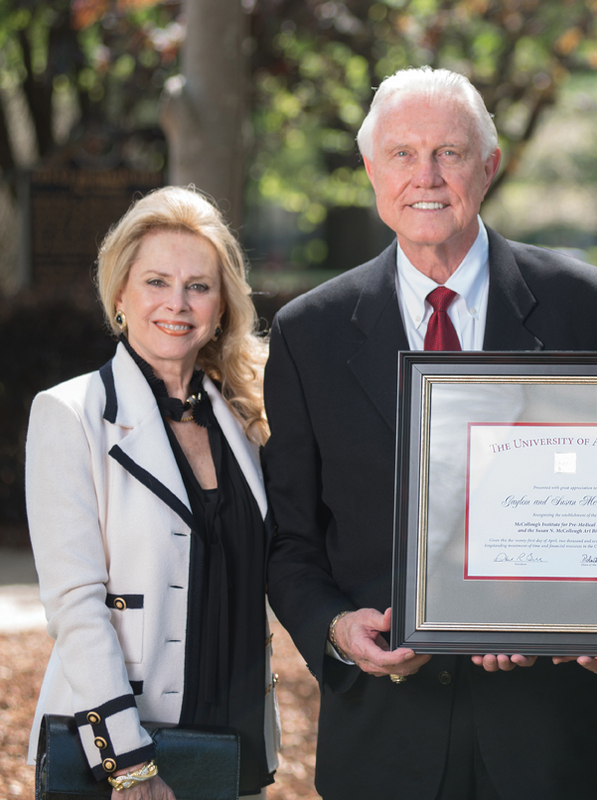 In 2017, the University of Alabama’s College of Arts and Sciences realized its largest academic endowment in more than two decades through a $5.15 million gift from two prominent alumni, Dr. Gaylon and Mrs. Susan Nomberg McCollough. The donation will fund two initiatives — The Dr. E. Gaylon McCollough Institute for Pre-Medical Scholars and the Susan N. McCollough Art Biennale. The Institute, which is slated to welcome its first class in the 2019-2020 academic year, will offer innovative interdisciplinary pre-medical training focused on academic excellence, applied analytics, leadership, community service, scholarly research and ethical professionalism. 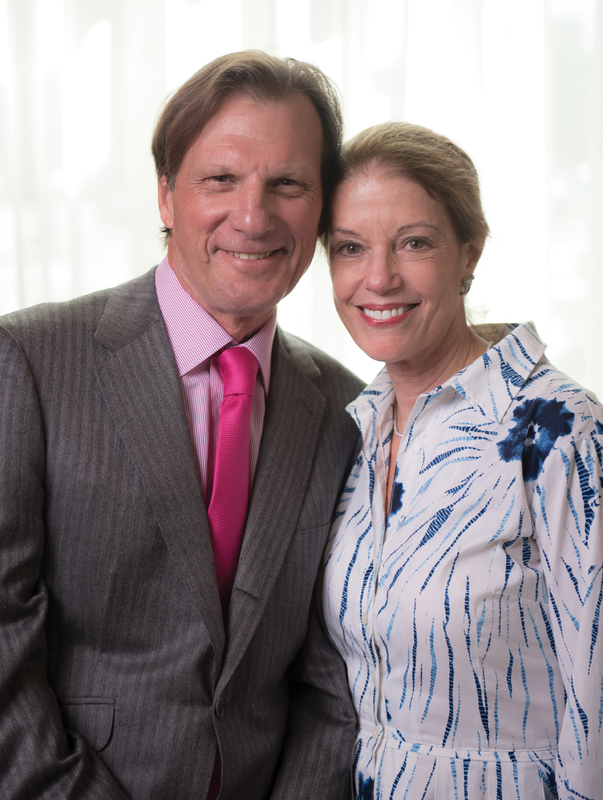 “Susan and I have long been committed to the pursuit of excellence. We have dreamed of creating unique educational experiences in an academic environment that enlighten the mind and buoy the spirit, ” Gaylon McCollough said at the time of the gift’s announcement. McCollough, an Academic All-America center under Paul “Bear” Bryant in 1964, was drafted by the Dallas Cowboys but chose to pursue a medical career. He is president and CEO of McCollough Plastic Surgery Clinic and founder of the McCollough Institute for Appearance and Health in Gulf Shores. His wife is an internationally acclaimed abstract and impressionist artist whose works have won national and international awards. The Susan N. McCollough Art Biennale will be a contemporary exhibition showcasing the art of leading professionals alongside emerging and alumni artists. It is expected to attract students to the University of Alabama who view art as a passion and career. 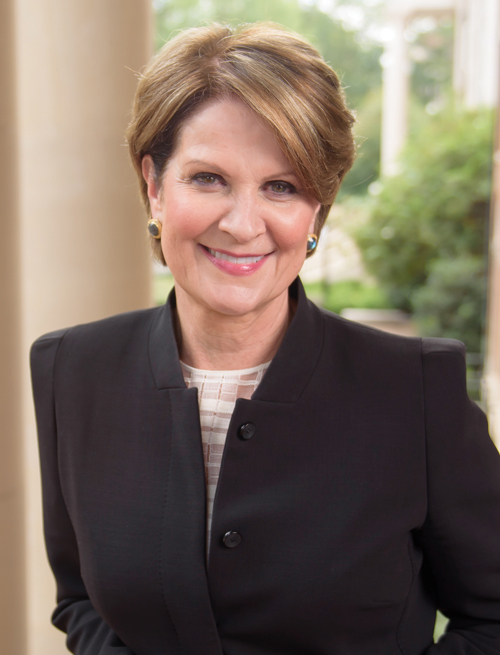 Born in Kansas and a University of Alabama graduate, Marillyn A. Hewson is not only one of the most powerful women in business, but she has risen to the top at Lockheed Martin, one of the world’s leading names among defense contractors. 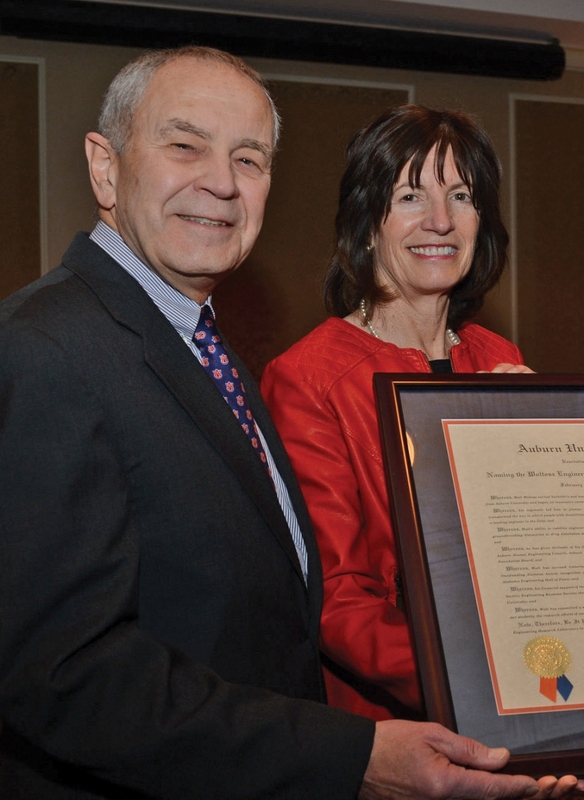 Hewson, chairman, president and CEO of Lockheed Martin and a 35-year veteran with the company, remembered her alma mater in 2017 with a $5 million gift to the Culverhouse College of Commerce and Business Administration. The gift will support Culverhouse education and research in business-data intelligence and cybersecurity, specifically supporting a high-tech lab, two named faculty endowments, an endowed undergraduate scholarship and a graduate assistantship. “My education and experiences at Culverhouse have been an important part of my professional successes and my approach to business leadership, ” Hewson said at the time her gift was announced. “I am grateful. Married with two children, Hewson holds an undergraduate degree in business administration and a master’s in economics from Alabama. She is a member of the Culverhouse College of Commerce and Business Administration’s Board of Visitors and the UA President’s Cabinet. 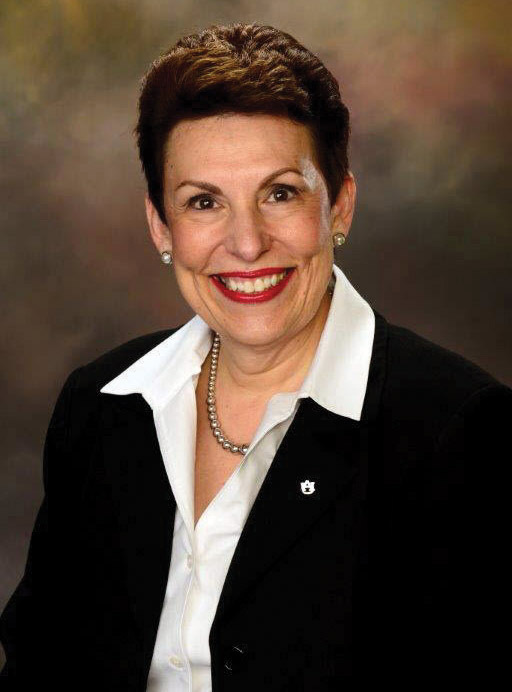 In her long career with Lockheed Martin, she has held a series of executive positions, including president and chief operating officer and executive vice president of the company’s Electronic Systems business area. Fortune ranked Hewson the fourth most powerful woman in business in 2015, and the same year, Forbes ranked her the 20th most powerful woman in the world. In a case of the apple not falling far from the tree, Hugh F. Culverhouse Jr., a trial attorney, investor and landowner in Sarasota, Florida, donated $1.5 million to the University of Alabama School of Law last year. The gift established the Hugh F. Culverhouse Jr. Chair in Constitutional Law and will serve as a foundation for a center for constitutional studies. Culverhouse’s father, Hugh F. Culverhouse Sr., graduated from Alabama’s School of Law in 1947 and was also a major donor to the university. Culverhouse has donated more than $7 million to the University of Alabama Culverhouse College of Commerce and Business Administration. In 2015, he donated $2.52 million to the Crimson Tide Foundation, with $2.25 million going to a women’s golf scholarship in honor of his mother, Joy McCann Culverhouse, a 1942 UA graduate who starred as a golfer. Alabama’s business school is named for Culverhouse’s father who, at the time of his death in 1994 at age 75, was the university’s largest individual donor ever, having given Alabama more than $12 million. Charlie Ingram is a freelance contributor to Business Alabama. He is based in Birmingham.